A secondary school proprietor threatened the teachers who requested salary increment after some teachers were laid off, and their jobs were transferred to the remaining teachers. “Why should I pay you N30,000 when I can equally get ten NYSC members to teach for N3,000 each. I have asked the Zonal and Local Government Inspector to be supplying more NYSC members, so we can flush you away.” The remaining ten of previously twenty teachers in the school of about 300 students stayed back instead of being unemployed. Without proper understanding and management of the NYSC scheme, it will continue to have adverse effects on education and employment in Nigeria. After the devastating Biafran war, the Yakubu Gowon-led federal government instituted National Youth Service corps (NYSC) in 1973. The NYSC scheme was meant to promote understanding and tolerance among graduates from the different tribes in Nigeria. The scheme was designed such that graduates would work and encounter towns and states outside their usual or places of origin. 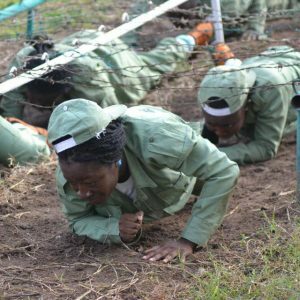 It begins with a one-month orientation camp of instructions and paramilitary training to prepare the candidates for their new environment. The camping is followed by an 11-month primary assignment in different institutions determined by the NYSC state coordinator and officials. Several abolition calls and questions arise about the relevance of the NYSC scheme in Nigeria. 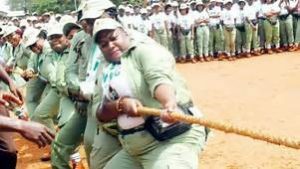 Either because of management or Nigerian situation as a whole, the NYSC scheme appears to have several adverse effects. 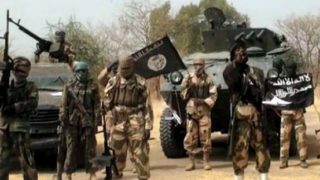 It exposes many Nigerian graduates to security issues, especially in volatile areas. 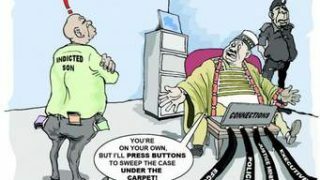 The process of postings are often skewed in favour of candidates who bribe the NYSC officials. Managing and sustaining the scheme is considered expensive and unprofitable to the country. Due to the lack of industries and productivity in Nigeria, almost all the candidates are sent to teach or work in local governments and private firms. The engineering graduates, who are supposed to experience real production in industries are sent to teach and stay unemployed afterwards. The corps members who are posted to local government councils often stay idle, as there are no real productive works there. The continuous supply of NYSC’s time-bound labour removes the need for employing permanent staffs in many private schools and firms. This increases unemployment among discharged corps members and older career people, while postponing the certain unemployment of immediate corps members. 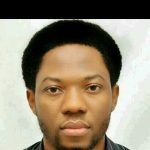 The termly change of teaching corps members bring constant interruption and discontinuity in students’ learning process, which results in subject misunderstanding. 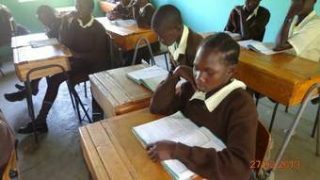 Corps members are often paid by school proprietors to assist in examination malpractices. 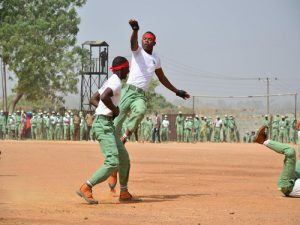 The supposed paramilitary training is too insufficient for any meaningful utility by the corps members. The provided facilities and time are insufficient for learning or mastering real defense tactics, psychology or weapon handling. The timing for some of the empowerment programs (SAED) in NYSC scheme are too short for meaningful impacts in Nigerian graduates. Despite the call for its closure, the program has had several benefits on graduates and institutions in Nigeria. It gives Nigerian graduates the opportunity to interact with other Nigerian graduates from different parts of Nigeria. 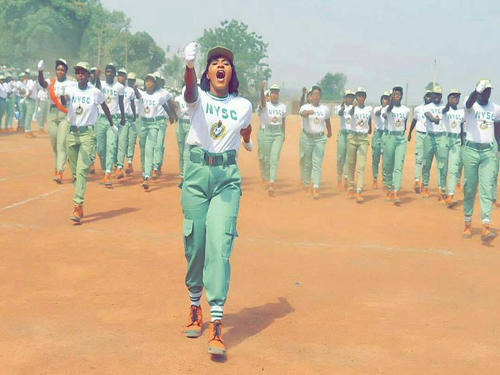 Many Nigerians found love, friendship, spouse and connection within the NYSC scheme. It gives Nigerian graduates the opportunity to encounter other cultures and peoples outside their places of residence and origin. It gives many Nigerian graduates the chance to experience formal employment in preparation for their actual employment or business after service. 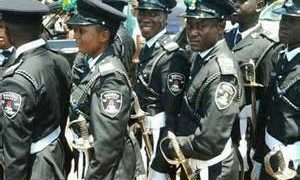 All corps members are given allowances that are slightly more than Nigeria’s minimum wage, from which they survive and save. Some Nigerian graduates raised their first business capital from their savings during the NYSC. It helps in spreading latest development to some of the remotest parts of Nigeria that are yet to encounter civilization. It gives Nigerian graduates the opportunity to engage in several subsidized empowerment programs for life after service. The purpose for instituting NYSC scheme – understanding, agreement and tolerance between Nigerian tribes – remains crucial to Nigeria’s development. For when Nigerian ethnic communities and tribes agree to collaborate and utilize their resources for production, Nigeria will excel. However, NYSC may not remove the distrust among Nigerians without addressing root causes of socio-economic injustice in Nigeria at the intercommunal and tribal level. NYSC may never lead to the required industrialization for Nigeria and Africa’s technological and economic revival. Yet, NYSC scheme provides a platform for the new generation of Nigerians to familiarize with each other as they prepare for a true national negotiation and agreement. The NYSC can become an instrument for fundamental changes in Nigeria’s collaboration for productivity. Its utility still has to be built on the agreement between the Nigerian ethnic communities to manage their resources for productivity. There are no regions in Nigeria without environmental and human resources; only those who have not discovered or valued theirs. The ethnic communities and tribes will negotiate to collaborate within agreed sections or regions for managing their resources in production. Hence, they will create several industries and research institutions in several regions according to the prevailing resources to be extracted and processed in the areas. At that time, NYSC will have a more fundamental role to play in the socio-economic development of Nigeria. Since they train for the country’s socio-economic development, their allowances, provisions and management should also be improved. The timing for NYSC will be increased to two years with improved allowances – first 18months for practical industrial attachment, and the remaining 6months for national history, psychology, defence and weapons training. The two sessions may be in the same or different locations depending on each candidate’s versatility, interest or professional requirement. Science and engineering graduates will be posted to regions with government-owned industries and research centres for their practical experience of technological production. Their postings will depend on the location of the industries for their specific areas of intended specialization. During their NYSC industrial experience, some of them may form small industrial or research corporations and obtain government’s zero-interest loans for floating their industrial outlets. Most education graduates (science, arts and commercial) will be sent to government-owned schools in areas where they may like to continue after service. Yet, they will find time for field works and experiences in industries, social research groups and economic parastatals respectively. If they are later retained in those government-owned schools, their pays will be improved accordingly for apt encouragement. More government schools will be created to accommodate the good Nigerian educators and to spread development to remote places. The other students will be fixed into active ministries, parastatals and agencies that will challenge their work attitude. Government should not be in a hurry to disengage efficient candidates, who may run away to private or foreign establishments. Instead, the government will improve their payments and conditions as encouragement for more efficiency. 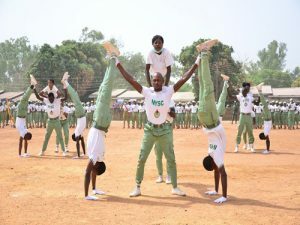 The level of adequate retention or employment of NYSC members in private firms and schools will influence the number of corps members they receive afterwards. They cannot be using and dumping Nigerian graduates anyhow with hope of getting new batches as their reward. In conclusion, the NYSC scheme remains an underutilized scheme for the socio-economic renewal of Nigeria. Those who call for its abolition may not be blamed because of their horrible experiences with the program: exploitation, immorality, bribery, corruption, accidents and waste of time. However, the mismanagement of an entity does not imply an error in the entity, but a call for proper management. And the inadequacies in the management of NYSC shall be rectified in the right time. Thank you so much Lazarus. Kindly share to other intelligent Nigerians. We are the people to build a new Nigeria.